In the world of online, blended, hybrid, and “flipped” courses, video is one of the things that separates an average learning experience from an exceptional one. Unfortunately, the majority of videos–70%? 80%? quite possibly more, based on personal observations over the past several years–in these types of courses follow the same general model: a narrated slide presentation or screencast, sometimes a recording of a live lecture or webinar-style presentation. Video, in these cases, is really just a substitute for conducting an in-person lecture. And, like it or not, that isn’t something most students consider particularly exciting. But course videos don’t have to be warmed-over lectures. Video has some real strengths when it comes to things like establishing social presence (a topic I’ve written about previously on this blog), demonstrating actions or phenomena that need to be observed visually to be fully understood, or leveraging the potential of multimedia learning to draw out and illustrate connections between concepts. Of course, making videos that do those things can be both difficult and time-consuming–and if there’s one thing that most faculty don’t have a lot of, it’s time. So what can you do if you want to create more than a voiceover of your lecture slides but don’t have the time or skills needed to do so? One potential answer is video annotation. The idea is simple: take an existing video that someone else has produced and generously uploaded for public viewing and then add annotations that guide students through it, thereby connecting it to the specific topics or activities in your course. Carefully annotated, a video becomes something more than a lecture intended to convey information. 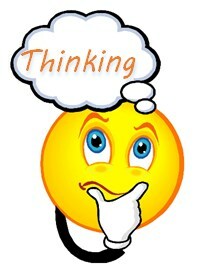 Instead, at its best it functions as an exercise in modeling for students a thought process or a line of inquiry. An well-annotated video can establish a kind of dialogue between the video’s content and the larger conceptual or theoretical structures of the course or program of study. It can invite students to explore or understand a topic more deeply, and to connect that topic to others they have studied, rather than passively view and process simply for its informational content. Video annotations can work in a number of different ways, depending on the specific tool being used to create and display them, but the general idea is to attach notes, usually in the form of text (although some tool support images and multimedia), to specific spans of time within the video. Once the annotations have been created, many annotation tools allow the viewer either to watch the full video and see the annotations displayed in a synchronized fashion as it plays or, alternatively, to jump immediately to specific portions of the video based on a selected annotation. 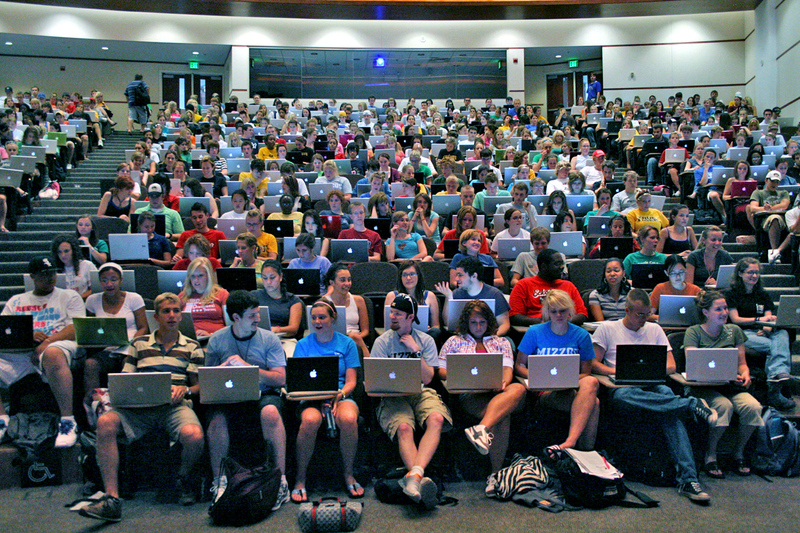 Some video annotation tools can also facilitate individual or group annotation by students, opening up a variety of possibilities for student projects or, potentially, for moving course discussions out of traditional threaded forums or message boards and into a world where comments are attached directly to the object of study itself. Used thoughtfully and creatively, annotated videos provide numerous ways to move beyond the conventional video lecture in an online or hybrid course. In a companion post, coming soon, I’ll highlight a couple of free tools that you can start using right away to experiment with video annotation in your own courses. Stay tuned! Regular readers of this blog will know that EvCC, like many community colleges across the country, continues to engage with knotty, challenging questions of equity in higher education. Conversations about equity have been central to Guided Pathways efforts at the college (and long before), and they’re also part of our work at the Center for Transformative Teaching. A few months ago, I wrote on this blog about my initial investigation of potential equity gaps in online course enrollments, and I’ve continued to think about this problem since then. Equity in online, hybrid/blended, and technology-enhanced learning environments is in many ways a classic manifestation of the digital divide — inequalities in “access to, use of, or impact of information and communication technologies” (Wikipedia). The heart of the problem, in my mind, lies in the final part of that definition: the impact of technologies on the people using them. While we tend to be pretty good about asking important questions related to students’ access to technologies, all too often we overlook an even more significant question. Once we’ve ensured all students have access to learning technologies (for instance, through low-cost laptop rentals — a service we provide to students here at EvCC) what are we doing to ensure that the use of those technologies is providing the same advantages to all students? Are we inadvertently perpetuating inequities by assuming that the beneficial effects of educational technologies are evenly distributed and available to all? Despite the dusting of snow on the ground in Everett this morning (and a few lingering flakes falling outside my window at this very moment), it’s officially the first day of the spring quarter here at EvCC. That means a new set of classes–and new opportunities to try out ways of engaging your students from the very first moment of class. With that in mind, here’s a question for you to consider as you start each of your new classes this week: How do you engage students and welcome them into the intellectual and practical work of the next ten weeks? After a late-2017 hiatus here on the CTT blog, I thought the first post of 2018 should touch on something many of us might be thinking about as winter quarter classes begin at EvCC today: the course syllabus. The key role of this document is spelled out clearly in The Course Syllabus: A Learning-Centered Approach: ‘The syllabus provides the first opportunity faculty have to encourage and guide students to take responsibility for their learning…When reading a learning-centered syllabus, students learn what is required to achieve the course objectives, and they learn what processes will support their academic success.’ In short, students need to know what they need to do to succeed in your course, and how they’re being empowered to do it. But the syllabus has evolved (hideously mutated?) from a course guide to its present-day incarnation as a lengthy compendium of policies and procedural statements where the course material almost feels like an afterthought. So how do we reclaim the syllabus for its rightful purpose? The first step is to ask, What is a syllabus for, anyway? If we can’t answer that question concisely and unambiguously, then there are conversations that need to happen. Read the full article here, then see Parts 2 and 3 of the DIY Syllabus series, “What Goes Into a Syllabus?” and “How to Move Beyond the Transactional“. How do you approach your syllabus? Have your views on “what a syllabus is really for” changed in recent years? How do you keep your syllabus fresh, engaging, and useful as a teaching instrument? 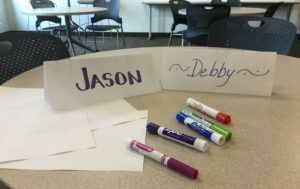 At a recent conference on departmental support of evidence-based teaching practices in Biology (PULSE), I picked up two Metacognition techniques to bring into my classrooms. These seemed so powerful and, honestly, easy to implement, that I did it the following week. This first idea stems from work that Ricky Dooley (new colleague in Biology) developed with Scott Freeman and others at the University of Washington. In my majors’ Biology class, I have weekly quizzes over the past week’s material. Standard in-class quizzes, mostly multiple choice (taken with iClickers) with a short answer question here and there. Student performance was mixed, and when we went over the correct answers, many students had “ah-ha” moments when ideas began to click. Of course, these ah-ha moments were a few moments too late to help on that particular quiz. What I’ve begun doing is flipping that around. First off, I’ve moved this quiz completely onto Canvas. And rather than the usual 10 questions/10 points, they are now 20 questions, still worth 10 points. The first question is the usual question I would ask (although I’ve added more short-answer questions, reflecting questions I will ask on the exams.). This first question (and all of the odd-numbered questions) are worth zero points, so there’s no risk to the student to do their best from their memory (no reason to cheat). The second question (all of the even-numbered questions) is the same question, followed by how I would answer the question. This question then asks the student if they think they got it right, wrong, or somewhere in between. If they didn’t get it right, I ask them 1) explain why they got it wrong, 2) what the right answer is, and 3) why is the right answer correct. This question is worth 1 point, and I grade it based upon how they’ve reflected on their work. Sometimes, within their summary explanations, students will still not fully understand the material. Here, it’s very easy for me to jump in (while grading) and help them individually. An additional benefit is that these quizzes, with the addition of more short-answer questions, more closely resembles the question types I have on my midterms. The first time I did this (in the 5th week of this quarter), my last question asked the students their opinion on this new style of testing. With the exception of the one student who was already doing exceptionally well, feedback was very positive. They appreciated the ability to correct themselves, and feel that they better understand the material. Their explanations seemed genuine to me, so I’m hopeful that they’ll perform better on our midterms. The second idea I implemented I borrowed from another biology colleague, Hillary Kemp. This I’ve done with my non-majors Cellular Biology course, one that is typically tough for many students, as they begin their path towards an allied health degree. Exam performance on my short-answer questions is always spotty (lots of higher-order Bloom’s Taxonomy questions). Usually I would go over the correct answer with the class, in the hopes that they’d do better on the final. Now, rather than go over those answers, I give them their marked-up short-answer sections back, and let them correct their answers for partial credit. I stress that in their corrections I’m looking for them to explain why they got it wrong, and why the correct answer is correct. This is worth just enough to eliminate the need to curve the exam (essentially, they’re working to “earn” the curved points). In my large class (n=48), results were mixed. Many students clearly explained why they got it wrong and understand why the correct answer is correct. However, others just put down correct answers or, worse, Googled the answer and put down technically correct answers, well above the level of our course. Again, I awarded points based upon their explanations rather than the correctness of their answers. I think this exam reflection is helping those students who genuinely want to do well in class, as opposed to those who are maybe not too sure about this degree path. I’m hopeful that performance on our comprehensive final will show improvement because of this reflection exercise. This post was generously contributed by Jeff Fennell, who teaches in the Biology department at Everett Community College. First, a shameless plug: EvCC instructor Joe Graber and I will be teaming up to offer a one-hour workshop on October 3 on using the EvCC lightboard, built by a team of engineering faculty, to create engaging and effective instructional videos. If you haven’t already done so, mark your calendar! With videos on my mind recently, and with this being a time of the year when many faculty are creating new videos to share with their students, I thought it might be useful to address a couple of the myths, misperceptions, and generalizations about instructional videos that I encounter most frequently. All too often, when we use data in classes we treat it as something that is fairly static: a printed handout, an image on a slide, or a graph we draw on the whiteboard. There’s nothing wrong with that, exactly, but I often find myself wanting to give students a better entry point into data — and, more importantly, to help students understand the story the data can help us tell. “Teaching with data” is a broad category that can mean many things, but I take as one of its fundamental components a desire to teach students how to think with data and to construct meaning from it. So I was very excited to see that the Knight Lab recently released a tool for creating simple annotated charts. It’s called Storyline, and while its features are minimal I think it has great teaching potential. Storyline is a web-based tool, and it’s so easy to use that if you know how to make a spreadsheet you can certainly make a Storyline. At the moment, Storyline makes it possible to generate a time-series line chart (essentially, a chart that shows a data variable over time) with up to 800 data points. Over the next few weeks I will be writing posts about “The 4 Connections.” Here’s the back story: about 2 years ago I was at a party and saw my friend Elliot Stern. Elliot is the Vice President of Instruction (VPI) at Lake Washington Institute of Technology (LWTech). He told me that several people from LWTech had gone to an Achieving the Dream conference and one of them went to a workshop given by staff from Odessa College in Odessa, TX. Think oil wells and Friday Night Lights. By way of introduction, they shared that Odessa had a large percentage of students who were not only struggling in their classes, but were ultimately dropping out. There was also a high rate of failure and huge equity gaps. In fact, they had the highest drop rate in the country. After a lot of research and soul searching, they discovered that there were four things that all faculty who had low drop rates were doing. They presented their DRIP program (Drop Rate Improvement Plan) that ultimately not only improved persistence and retention, but closed most of the equity gaps. Today they are an Aspen Prize winning college. My friend Sally Heilstedt, Associate Dean of Instruction at LWTech, ran with this idea, and summarized it as “The 4 Connections.” They are: Interact with Students by Name, Check-in Regularly, Schedule One-on-One meetings, and Practice Paradox. Think about how this might improve the community in your classroom. Raid the recycling bin today and get ready for the start of Fall Quarter. And stay tuned for the next post on The 4 Connections. Pow! Zotero sure is exciting! 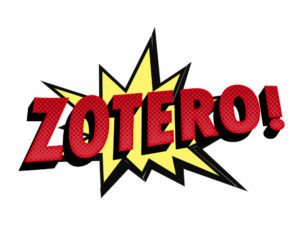 In a previous post, I introduced Zotero–a free, open-source research tool–and suggested exploring ways to use it in classroom activities and student assignments. Zotero has been part of many librarians’ research and instructional toolkits since its early days, so the idea that it should have a place in the classroom is by no means a new one. Instructors have also been incorporating it directly into their courses for some time, often with the explicit goal of improving students’ literacies and familiarity with individual and collaborative research practices. One of the hardest things to do in the span of a single class is to contextualize new information so that students learn to see individual facts or concepts in relation to one another. A shared Zotero collection is one way to engage students directly in that process of contextualization, helping them develop a more realistic view of the depth and breadth of a particular field of study than is often possible in an introductory or survey course. As a bonus, it happens to be useful to you as an instructor as well, since the collection created by one cohort of students can become a resource to be used in future courses or, perhaps, to provide new examples or readings you can add to the course when revising it. Let’s say that I’m teaching an introductory environmental science course whose purpose is to give students a broad conceptual foundation for studying both the environment and the impact of human activities on it. I’ve decided that I’m going to unify the various topics we’ll cover by focusing on a common theme that we’ll return to throughout the quarter: modern agricultural practices and the challenges of mitigating their environmental consequences while also feeding a rapidly growing human population. So while the course as a whole will include units that introduce atmospheric science, ecology, biodiversity, and so on, each unit approaches those specific topics by considering their effects on some particular aspect of agriculture, and vice versa. For example, a unit that addresses freshwater ecosystems might include a discussion of the effects of nitrogen runoff resulting from industrial agriculture.